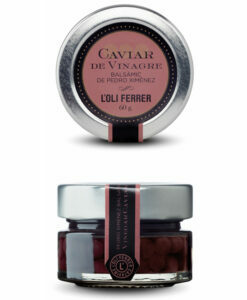 The olive oil caviar L’OLI FERRER is a new way of presenting the olive oil sferification technique in which a sphere similar to that of caviar a delicatessen product texture is obtained to prepare more selected and avant-garde cuisines. It combines tradition and purity of E.V.O.O. with the most innovative gastronomic technology. They are pearls of extra virgin olive oil that explode in your mouth to enjoy the flavor of olive oil before merging with the remaining ingredients of the dish. It can be used with any dish that would come with crude olive oil specially for haute cuisine like Ferran Adrià’s. 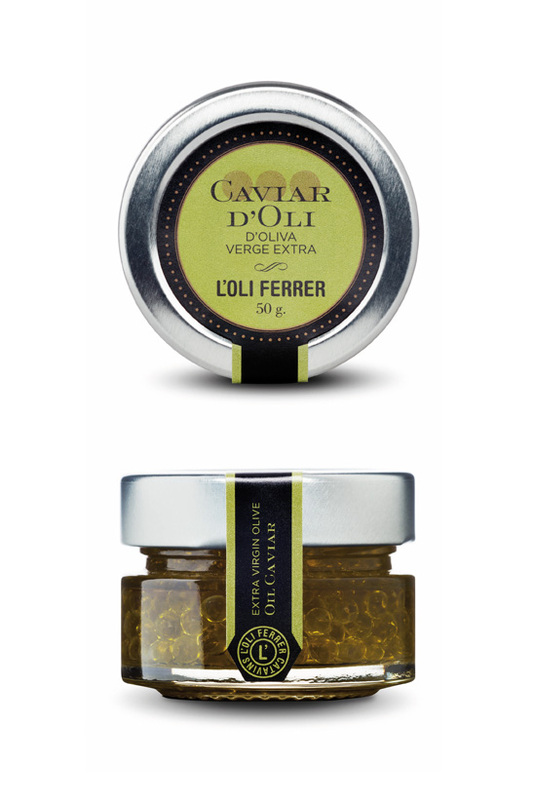 The L’OLI FERRER olive oil gourmet caviar is made from 100% picual extra virgin olive oil. This variety has an intense fruity taste with a balanced spicy and bitter savour; its texture is similar to the caviar. Salads, entrees, appetizers, vinaigrettes, cold soups, fish, meat, vegetables and pasta and to finish decoration of the dishes. We do not recommend using it for hot cooking because it would break the texture that covers it. Available in 50 gr glass jars.